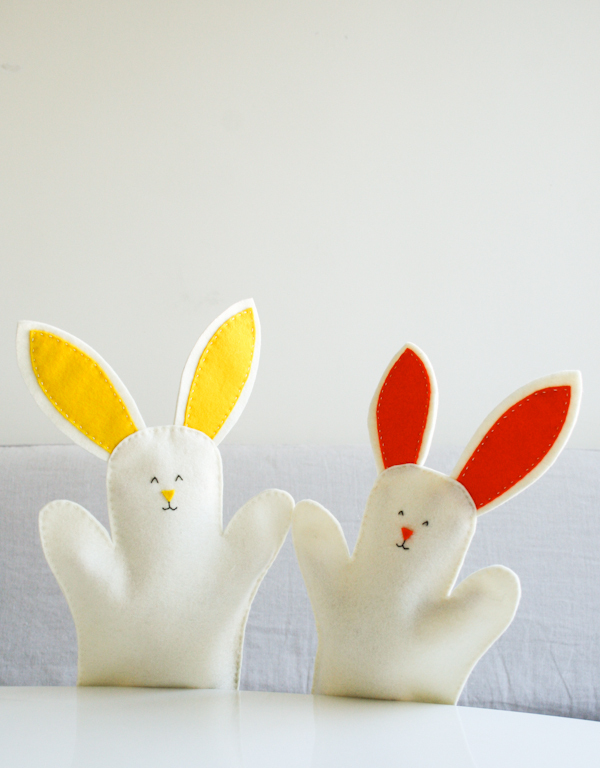 If you need a little non-candy treat for your kids’ Easter basket, here’s an idea you might like: Easter bunny hand puppets! I think they’re just the cutest things! I found these over at The Purl Bee, and I just can’t get over their little faces. 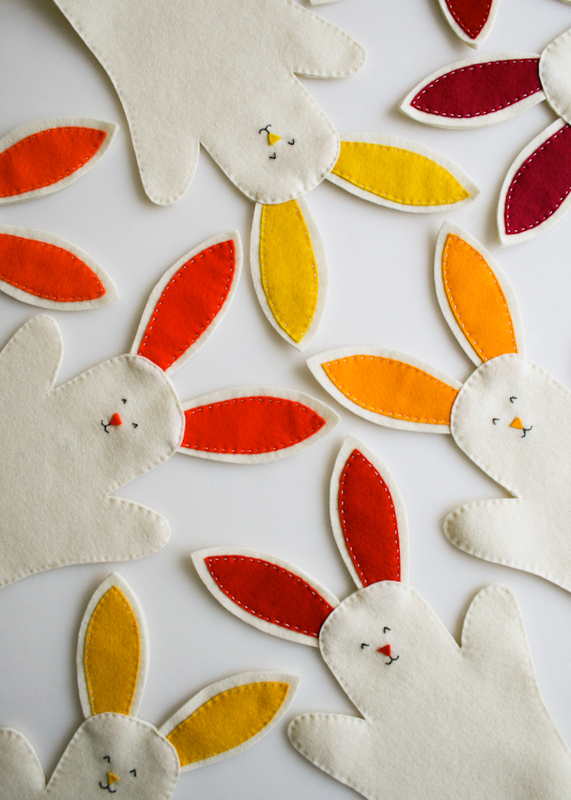 For step-by-step instructions on how to make a whole family of little Easter rabbits, click here! Posted with permission from Jennifer at The Purl Bee.